Vehicles ads in Perth. Thank you for visiting our free advertising website Vehicles, Perth section. We provide high response free classifieds and free advertisement. Use our online free Vehicles classifieds placement system to find, list, offer Vehicles online! Are you looking for 4×4 Ute canopy and storage management solutions in Perth, Western Australia? Get them at better prices with us! The Ford ranger canopy at delux4x4.com.au is light, durable and comes with great aerodynamic design. The 4×4 ute storage systems include tray slides, shelves, and drawers. Welcome, MRZ Cash For Car Perth —the top wholesale provider of high-quality recycled panels and car parts in Perth. We have an extensive inventory of practically all types of auto components from all makes and models. Our company has a vast network of recyclers across Australia. 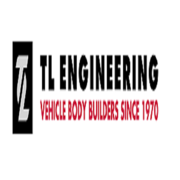 We use our long-standing car part suppliers to satisfy the unique and demanding needs of different clients from anywhere in the country. At All Marine Services, you can trust us to fix your boat's fiberglass and have it shiny again with our boat detailing services at Perth. Our staff comprises of qualified specialists who have a vast experience in marine industry. What are you waiting for then? Call us right away. Visit : http://www. Max Car Removal is the right company to call when you need efficient and reliable cash for 4WD or 4x4 wreckers services in Perth. Call US 0426 500 021 https://www.maxcarremoval.com.au/ https://www.facebook.com/Max-Car-Removals-129606901047346/ Max Car Removals Perth 4 Attwell Street, Landsdale, Western Australia info@maxcarremoval. 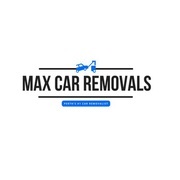 Max Car Removal offer cash for used cars or cash for scrap cars in Perth. We buy all makes and models in any condition. Call US 0426 500 021 https://www.maxcarremoval.com.au/ https://www.facebook.com/Max-Car-Removals-129606901047346/ Max Car Removals Perth 4 Attwell Street, Landsdale, Western Australia info@maxcarremoval. Dove Camper Conversions is one of the ace services of campervan or motorhome conversions in Perth that has been providing quality campervans or motorhomes for sale in Perth for many years now. The food truck and van conversions in Perth presented by Dove Camper Conversions are not only affordable but also include all the latest amenities for the benefit of the clients. Do you wish to add a hint of glamour to your car? Or is it becoming too tough for you to maintain the upholstery and interior parts of the car with proper attention? 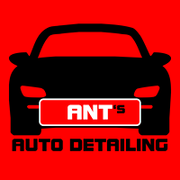 Ant’s Auto Detailing welcomes you with the offers of exclusive mobile car detailing deals in Perth that will bring back the showroom shine. As far as the general availability of the service of Triumph Bonneville Accessories are concerned, we at JCS Motorcycles have just the thing that you need and much more in terms of both products and services. Do feel free to contact us as soon as possible. Address: 287 Great Eastern Highway, Burswood, WA, 6100 Phone no. JCS Motorcycles happens to be one of the very few services that have the provision of Royal Enfield For Sale in Australia, as well as a wide range of other related services in store for you as well. Feel free to give us a call at any time. Address: 287 Great Eastern Highway, Burswood, WA, 6100 Phone no. Based locally in Perth - Belmont, Perth Rent-A-Car offers new model vehicles with low mileage for a hassle free experience. We offer great fleet range and delivery to the airport and after hours collection. Call us today on 08 9475 0600 for a quote or visit us email:	enquiries@perthrent-a-car.com.au website:	https://www.perthrent-a-car.com.au/ Address:. At JCS Motorcycles, you can be sure of the fact that as far as the availability of the service of Triumph Motorcycles Parts are concerned, we are one of the best and most renowned services out there. Do feel free to contact us if you know more. Visit: https://www.jcsmotorcycles.com.au/. Free DB Car Stereo we offer old fashion service that is hard to come by these days. We are enthusiasts with over 38yrs experience and offer range of top brands in audio/ Bluetooth/ visual/ alarms. Also offer installations on car and marine, including custom work. Phone:	(08) 9335 1926 Email:	Jason@freedb. Star Car Removal gives you services like free car removal, cash for cars and car wreckers. Star Car Removal WA is the best option for anyone in Perth to rid f their totaled or wrecked cars. We offer good amount of money for the cars. Your cars can be damaged, not in running condition or damaged but still we will give you proper money as per condition, guaranteed. Purchase your choice of quality segway scooters at cheap and affordable price. For more inquiry how to order please contact usvia email Contact for Purchase. Sales Manager : Jorge Vincent MAIL : jvinceonline@gmail.com Segway x2 Golf, Segway x2 and Segway i2 Electric Scooter SEGWAY MODEL LISTING AND PRICE (Bargain): Segway x2 Golf . This is a serious 4X4 RACING CAR. Award winning modification, over $200k spent in upgrade. Pictures will tell you every thing, this car has won club racing and rarely driven sinced modified. Sell due to moving US. Almost everything changed, here is engine upgrade: Hand rebuilt engine AEngine, 383 cubic inch General Motors Chev(6. It has a great air conditioner for those hot sunny days. This Nissan Patrol has power door mirrors. It has off road active suspension. It has 2 airbags to protect you and your family. This car has leather steering wheel. 17" alloy wheels, limited slip diff (LSD) and remote central locking. Has 7 seating capacity. This Hilux has all you need to get away camping. The camper is versatile in many ways for the quick overnighter to extended long trips. The camper has adjustable legs so it can be removed from the ute easily and the car is back to a utility. The car is in very good condition considering the klm and age of the vehicle, it has been very well looked after and maintained with only 2 owners. Krazy Keys offer door locks, Perth locksmith, emergency lock outs, automotive locksmith Perth and car ignition repairs in Perth. You can call us any time. We offer mobile services as well. Call us on 0433 067 908 to get an assistance. We would love to help you.. I am looking to sell my Mitsubishi Lancer 2003 CT Evolution VIII Sedan 4dr Man 6sp 4WD 2.0T The car is immaculate and drives like new. I've owned the car for 5 years. Perfect for someone looking for a very clean EVO VIII to put their own personal touch on or someone looking for a near factory EVO VIII. Only 57388 kms and in excellent condition, Saphire Black metallic paint with black leather interior always garaged with full service history. All the usual 650i features including, Heads up display, 19 inch factory alloys, M steering wheel, GPS, TV, Sun Roof, Heated memory seats with lumbar support, Voice activation, Power adjustable steering column, Keyless entry, Rain sensor wipers, Front and rear parking sensors. Australia free ads for Vehicles, Perth, Vehicles free ads Perth, Vehicles for sale Perth, Vehicles to buy in Perth. Find on this page free classifieds for Vehicles in Perth. This listing includes classifieds for sale and to buy in Perth. FREEADSAustralia Perth offers you a platform to post free advertisements or classifieds for Vehicles in Perth. FREEADSAustralia helps you search, find buy, sell, rent or hire in various categories like apartments, goods for sale, local services, cars , jobs and many more in Perth. If you posted an advertisement in category Vehicles of FREEADSAustralia Perth before please use Edit my ads button to change or cancel your ad. Vehicles Perth ads Perth, Vehicles classifieds Perth, Vehicles free ads Perth, ads for sale Perth, ads to buy Perth, FREEADSAustralia. Find here ads for sale, to buy and rent in Perth. Goods for sale in Perth, vehicles for sale in Perth, Perth real estate for sale, Perth property for sale, property for rent in Perth, business ads in Perth, Perth business classifieds, services in Perth, Perth services ads, jobs in Perth, pets for sale in Perth, Perth dating, Perth cars for sale.